You’ve been charged with having the most up-to-date information on strategy, best practices and thought leadership for digital analytics. 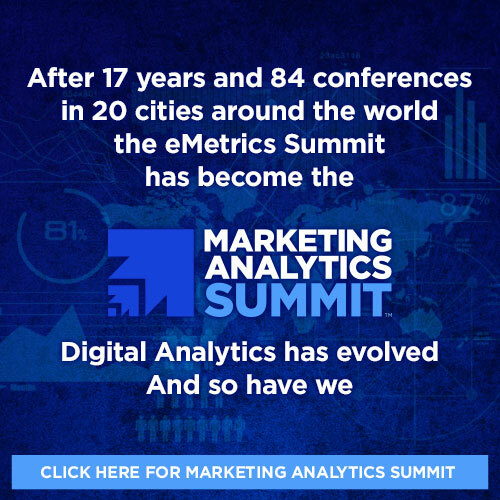 I can help by attending the eMetrics Summit, 12-13 October, 2016 in London and bringing back valuable, useful insights. Additionally, if we decide to send a team to the event, we can save additional money by taking advantage of group rates (savings starting at £100 per person).